TorontoVerve. :: Chris: "It's In My Blood"
Chris: "It's In My Blood"
"My style is self-made. I pick up bits and bites and put them together." 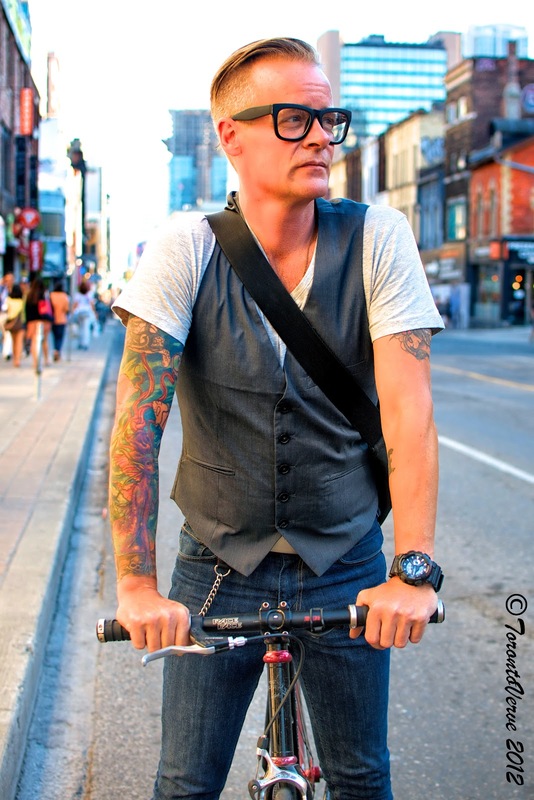 Chris is a graphic designer, but his passion is cycling. 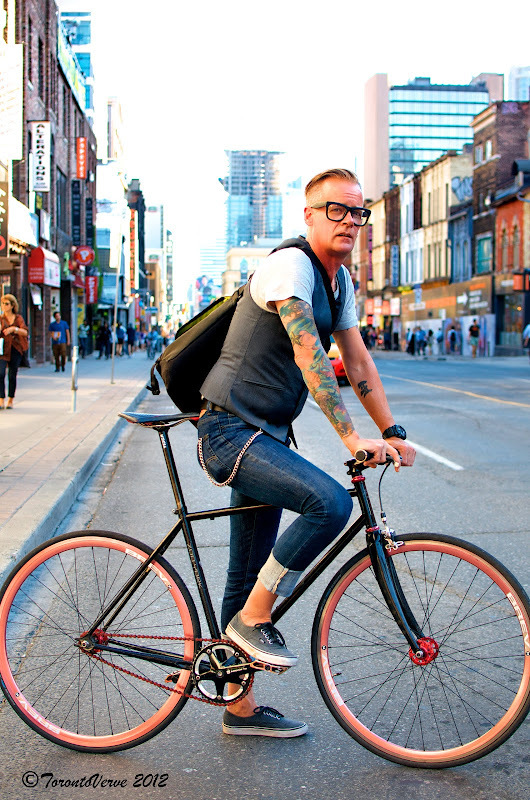 "I'm actually on my way to see a dude about getting a tattoo of a bike crank and chain. It's going to go around my neck with roses. It's in my blood."